G4S is a security solutions group that supports operations in more than 125 countries across the world. The company boasts more than 657,000 employees and specializes in providing outsourced facilities and business processes in regions where safety and security risks pose potential threats to client business. G4S partners with a wide range of customers that include non-profit organizations, businesses, and governments in order to provided tailored and integrated solutions to the current and future security threats. In addition to employment in traditional trades, there are a number of operational G4S security jobs available on any given week for those interested to apply. G4S was formerly known as Group 4 Securicor, and is currently a British multinational company specializing in security services. The company’s HQ is located in Crawley, UK and when measured by overall revenues currently boats that it is the largest security company in the world at the time of this writing. The company was founded in 2004 during the merger of Securicor and Denmark-based Group 4 Falck and is the third largest private sector employee in the world behind WalMart and Foxconn. The company is listed on the London Stock Exchange as well as being a member of the FTSE 100. There is also a secondary listing for the company on the Copenhagen Stock Exchange. The company’s origins date to 1901 in Copenhagen when it was founded as Kjøbenhavn Frederiksberg Nattevagt (loosely translates to: Copenhagen and Frederiksberg Night Watch) and later renamed to Falck by Marius Hogrefe providing security services. In 2000, the company merged with Group 4 and was known as Group 4 Falck. Just two years later, the company would go on to acquire the The Wackenhut Corporation in based in the United States. The next year, Group 4 Falck would sign a Detention Services Contract with the Department of Immigration and Multicultural and Indigenous Affairs in Australia. Under this contract, the company took over direct control of the Australian refugee and detention centers. In 2004, Group 4 Falck would merge with Securicor (originally founded in 1935) to form G4S. 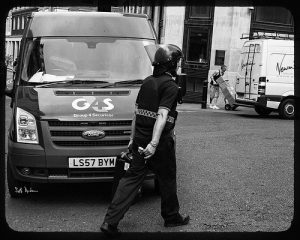 In early 2008, G4S took over the Scottish Rock Steady Group and became the primary stewards for major music and sporting events in the UK. Just one month later, the company acquired RONCO Consulting Corporation, which added additional humanitarian and mine action capabilities to the company’s portfolio. This acquisition would be followed in 2009 by the acquisition of : Secura Monde International Limited and Shiremoor International Engineering Limited. One of the most recent acquisitions of G4S was completed earlier in 2012, with the purchase of Touchcom, Inc. for $23 million USD. Other company acquisitions have included the 2011 purchase of Guidance Monitoring which was a manufacturer and designer of electronic monitoring technologies and Chubb Emergency Response. G4S has not solely purchased or acquired other related companies; however, as in August 2012 they announced the Pakistan Division, Wackenhut Pakistan Limited, would be sold to the chairman of the company, Ikram Sehgal, for approximately $10 million USD. What Type of Work Does G4S Do? management and transportation of cash and valuables, justice and care services, and all related outsourced business processes to security and safety. Government contracts were about 27% of the company’s business in 2011 and include operations such as operating prisons and custody facilities on behalf of law enforcement agencies. G4S also provides airport guard services at major locations to include: Brussels Airport, Heathrow Airport, Gatwick Airport, Oslo Airport, Schiphol Airport and OR Tambo Airport. For the person who is more of a tactical operator, G4S also provides consultancy, risk-management, and support in infrastructure limited areas of the world. These services include training, land-mine clearance, and ordnance management. In order to provide the level of service expected by G4S clients, the company leverages its global resources in risk consultancy, project management, logistics, and technology to deliver enhanced services to their clients at competitive rates. 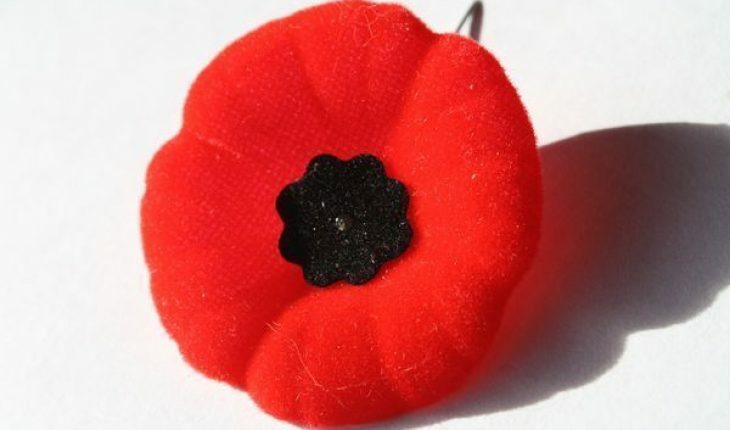 G4S has consistently been a strong supporter of military veterans. The company traditionally fills many of their operational and other security related job vacancies with U.S. and other military veterans. As a result of the company’s efforts to both recruit and retain veterans, G4S has been named a Top 50 Military-Friendly Employer multiple times by G.I. Jobs (2011) and to Training magazine’s Top 125 (2008-2012). Additionally, G4S has received a number of awards from the Employer Support of the Guard and Reserve and Most Valuable Military Employer in 2009, 2010, 2011 and most recently in 2012. G4S is a sponsor for the U.S. Navy’s Master-at-Arms rating through the U.S. Military Apprenticeship Program (USMAP) and assisted the Navy in conducting a review for the basic MA training. Additional assistance provided to veterans by G4S includes the company’s partnering with the U.S Army’s Partnership for Youth Success (PaYS) program. This program helps give young people in the United States a chance to serve their country while preparing for their future education and employment. Other avenues used to connect with military veterans by G4S include: participating in RecruitMilitary job fairs, finding veterans to connect and transition to civilian employment through Corporate Gray, and as serving as a member of the Hiring Our Heroes initiative of the U.S. Chamber of Commerce. For those who don’t have military or police related experience, G4S has a number of traditional security guard jobs available throughout the United States and other international destinations. While military or other security-related experience will help land these or more high-paying jobs at G4S, individuals can successfully find entry-level employment through G4S. How to Apply for a Job at G4S? The best way to apply for a job at G4S is to either start with the company’s new jobs portal or seek out a company representative at one of the many military jobs fairs that G4S attends. Step 1 – If starting your job search online, visit the G4S jobs portal. Then, enter a location (zip code, region, city), distance from the desired, location, contract type (full or part time, or casual), job category, and any relevant key words to see available job openings matching your preferences. You can alternatively select the “Show all jobs” menu option to search all jobs on the portal. Step 2 – Once you have found one or many jobs that you are interested in, tailor your resume to match the applicable job skills required in the job posting. 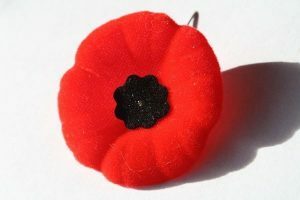 Since G4S puts such a great emphasis on hiring veterans, ensure all relevant military training and experience is documented and included on the resume. Similar to other major security firms, the company will also be interested in any combat experience you have acquired during your time in the service. Step 3 – Prior to submitting your resume on the G4S portal, consider having a Veterans Affairs human resources expert review the document. If you do not have access to a VA counselor, consider seeking out professional HR assistance to ensure you have the best chance possible to get a job from G4S. Step 4 – Collect all of your military or police related qualifications, certificates, and references. G4S will likely want to have one or many or your past senior supervisors or commanding officers listed. Since the company is filled with veterans, be prepared to answer more technically orientated questions regarding your past military or police experience than you might find with other civilian companies. Step 5 – Scan all of your training/qualification documentation to PDF format prior to starting you online application. This will help ensure you avoid wasting time starting and stopping the job application once you start the process. Step 6 – Scan a copy of your DD-214 to PDF format if previously on active duty to include with your job application. All major security firms (including G4S) will want a copy of this document to show documentation that you were discharged from the service on favorable terms. Step 7 – Make electronic copies of your driver’s license and passport to include with the job application. G4S and other major security firms will want to see at least one year or more of time remaining before each of these has to be renewed when applying for your job with the company. Step 8 – Do not lie about any domestic violence or felony convictions on your public or military record when applying for a security-related job with G4S. The company will conduct a background check on all job applicants under consideration for employment. If you do not declare any past arrests, etc., the company will likely find out about them at some point in the job application process. Step 9 – Upload all required documentation on the G4S jobs portal as you proceed through the job application steps. You will have to upload your resume and provide various personal information to proceed with the application. Step 10 – Complete the job application submission and then wait a few days. G4S will contact you within a few days via phone or email if they are interested in retaining your services for the desired (or other) job. If you do not hear anything after 3-4 working days, you should reach out to the company to check the status of your job application. Step 11 – If considered a “good fit” for the desired job with G4S, the company will contact you to proceed to the next step in the job application process. You can expect to undergo a medical exam at a minimum. If applying for an operation job, you may also be asked to take a physical fitness test before proceeding with the employment process. Step 12 – If you are selected to fill a G4S position located outside of the United States, make sure you discuss the overseas tax break for U.S. citizens. Depending on the length of your employment abroad, you make be entitled to receive up to 94K USD tax free. If you are a citizen of another country, the applicable tax laws/treaties may vary from those found in the U.S., so you will want to verify all of the entitlements you can expect to receive before finding yourself overseas!